MICHAEL SALCMAN is an internationally known neurological surgeon, poet and art critic. Born in Pilsen, Czechoslovakia in 1946, the son of Holocaust survivors, he came to the United States in 1949 and started writing poetry while a student at Midwood High School in Brooklyn. He attended the Combined Program in Liberal Arts and Medical Education at Boston University where he received both the B.A. and M.D. in 1969, graduating first in his class. After a surgical internship, he was a Fellow in Neurophysiology at the National Institutes of Health from 1970 to 1972 and trained in neurological surgery at Columbia University’s Neurological Institute in New York (1972-1976). He joined the faculty at the University of Maryland School of Medicine in 1976 and served as chairman of neurosurgery from 1984 through 1991. Jon Franklin and Alan Doelp profiled Salcman’s early medical career in their book, Not Quite A Miracle (Doubleday, 1983). He was named a Distinguished Alumnus of Columbia’s Neurological Institute in 1985 and of Boston University’s School of Medicine in 2001. In 1991 he was elected President of the Congress of Neurological Surgeons. He is the author of almost 200 medical and scientific papers and the author or editor of six medical and scientific texts, most recently the two-volume 2nd edition of Kempe’s Operative Neurosurgery (Springer-Verlag, 2004). His medical books have been translated into Spanish, German, Portuguese and Chinese. 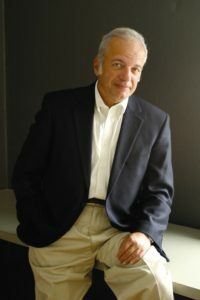 A past President of the Contemporary Museum in Baltimore, Salcman lectures widely on the relationship between the arts and sciences & the visual arts and the brain, at such institutions as The Cooper Union in New York, the Maryland Institute and College of Art in Baltimore, and the Walters Art Museum. Some of his lectures were seen on-line on The Knowledge Network of the New York Times and his essays on art and culture have appeared in such journals as J.A.M.A., Neurosurgery, Urbanite, Little Patuxent Review, World Neurosurgery, and Creative Non-Fiction. As Special Lecturer in the Osher Institute at Towson University he regularly teaches History of Modern and Contemporary Art from 1800 to the Present at Towson University, the Art Seminars Group, and the Osher Institute at Johns Hopkins. Salcman has been writing poetry for almost fifty years. His earliest poems, some of which appeared in Bitterroot, date from 1963 through 1977. After a ten-year hiatus, he began to write again. The new poems have been widely published in such journals as Alaska Quarterly Review, Barrow Street, Harvard Review, Hopkins Review, The Hudson Review, New Letters, New York Quarterly, Notre Dame Review, The Ontario Review, Poet Lore, and Raritan. His work has been nominated for six Pushcart Prizes and a Best of the Web Award, and his poems have appeared on Poetry Daily, Verse Daily and in several anthologies. They can be heard on NPR’s All Things Considered, on WYPR’s The Signal and on Maryland Morning, and in Lee Boot’s award-winning feature-length documentary about the brain and creativity, Euphoria (2008). In 2012, a suite of Salcman’s poems were set to music by noted Baltimore composer Lorraine Whittlesey. Salcman has given readings at the Library of Congress and The National Academy of Sciences in Washington, The Academy of Medicine in Atlanta, the Writers Center in Bethesda, The Pratt Library in Baltimore, and The Bowery Poetry Club, The Cornelia Street Café and the Century Association in New York. He is a poetry editor at The Baltimore Review, consulting art editor for The Little Patuxent Review, and the series editor for CityLit’s Clarinda Harriss Poetry Prize. He is the author of four chapbooks, the most recent of which is Stones in Our Pockets (Parallel Press, University of Wisconsin, 2007). Poetry in Medicine, his anthology of classic and contemporary poems on doctors, patients, illness and healing, with a Foreword by poet Michael Collier, was published to wide acclaim (Persea Books, 2015). His poetry collections include The Clock Made of Confetti (Orchises Press, 2007), nominated for The Poet’s Prize in 2009, The Enemy of Good Is Better (Orchises, 2011), and A Prague Spring, Before & After (Evening Street Press, 2016), winner of the 2015 Sinclair Poetry Prize. He and his wife Ilene live in Baltimore with a demanding cat; they have two children who are presently out of the house and three remarkable grandchildren.